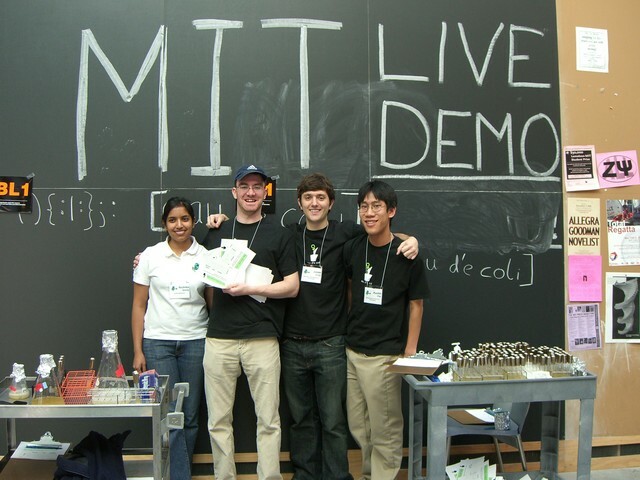 One of the projects that inspired us to start Ginkgo was working together as advisers to the 2006 MIT iGEM team. iGEM is the international genetically engineered machines competition and it challenges teams of undergrads to spend the summer competing to engineer the coolest biological system. If you haven’t done much molecular biology you might not appreciate how preposterous it is to suggest that novice undergrad researchers can get anything serious done in the lab in 3 months. However the MIT team of 4 freshmen and 2 sophomores managed to build a multi-gene metabolic pathway that programmed e.coli to stop smelling “like poo” (as reshma put it on NPR) and instead smell like either mint or bananas. How could they engineer a working system that fast? By using standardized DNA assembly methods and building on a pre-existing collection of standard biological parts, of course!